If you are a local to DC and haven’t heard the name Anika Hobbs, it’s quite likely that you have heard of her store, Nubian Hueman, that has successfully been in operations since 2013 in Anacostia Heights, Washington, DC. called, “The Black Love Experience”. I completely lit up when I first learned of the Black Love event. I attended my first one in 2017 when it was held at the Anacostia Arts Center. It was an event that made me so proud of my heritage. On top of the endless visual aesthetics, the presentation and eye of Anika Hobbs is a highly sophisticated one. Her work truly speaks for itself. This year, the event was held at the ARC DC, a humanitarian mall, which is actually right down the street from Nubian Hueman at the Anacostia Arts Center. The event screamed of artistic genius, unified spirits, and amazing performers. 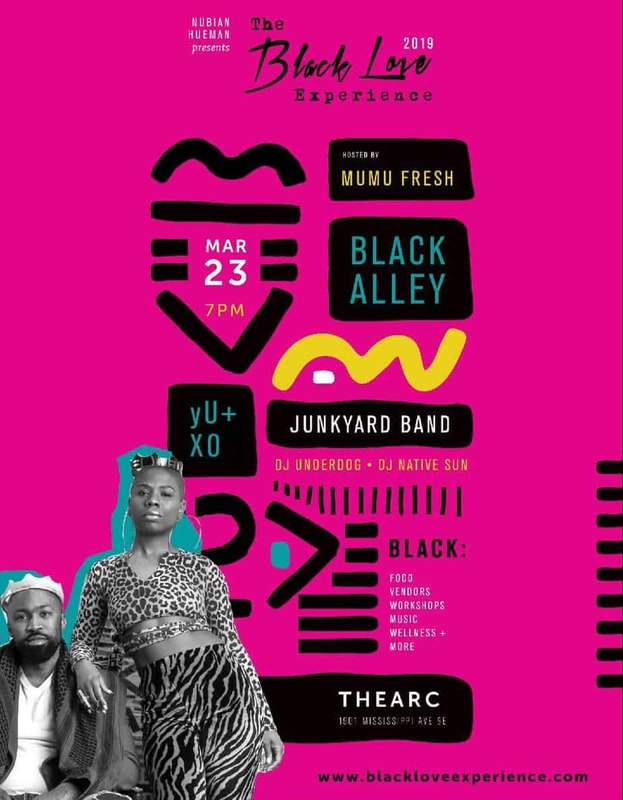 The Baltimore native turned Grammy-Nominated singer, Maimouna Youssef (also known as Mumu Fresh) was in attendance with performances from the legendary Junkyard Band, Black Alley, Mixxstress, DJ Native Sun and many more. There are also workshops for health and wellness, forums for discussions about various issues affecting people of color, meditation spaces, photo ops, service demonstrations such as massage and hair styling. Thank you Ms. Hobbs for your commitment to representing people of color in the most magical way possible.